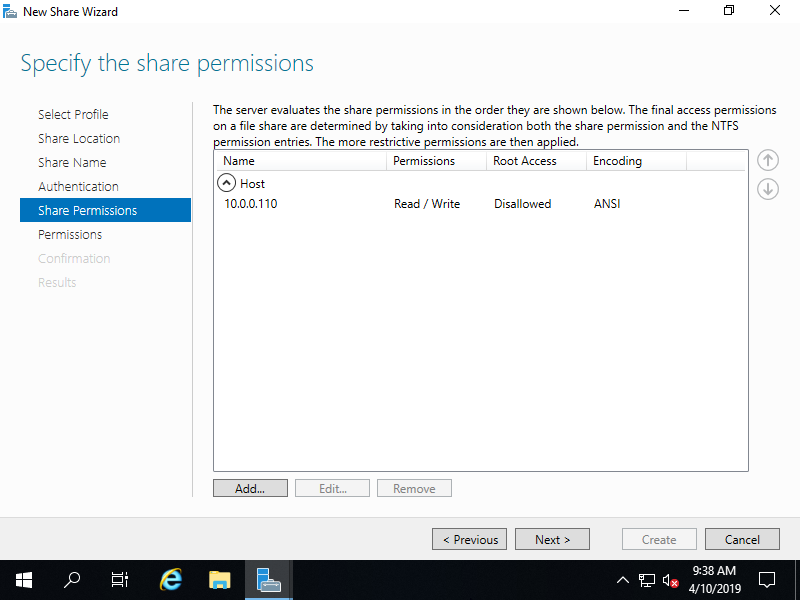 For example on here, create a shared folder with Host based access permission. 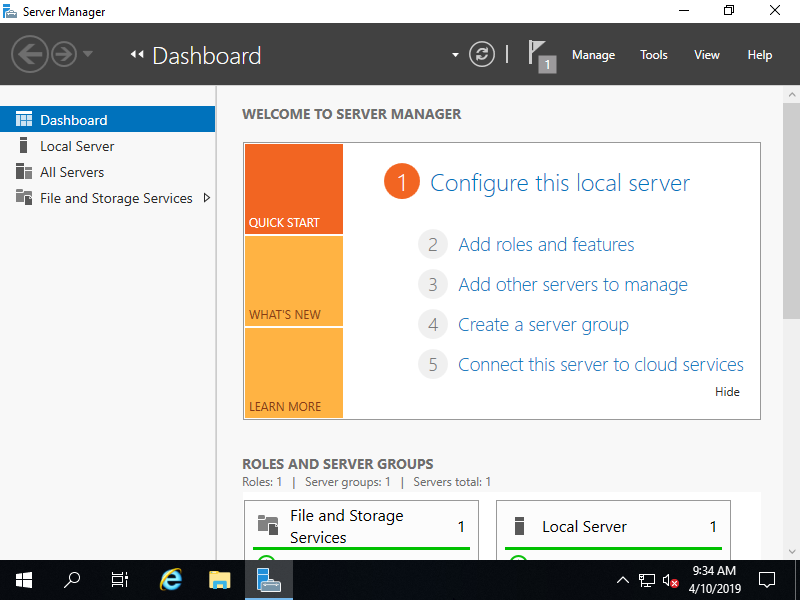 Run PowerShell with Admin Privilege and Configure NFS Server. 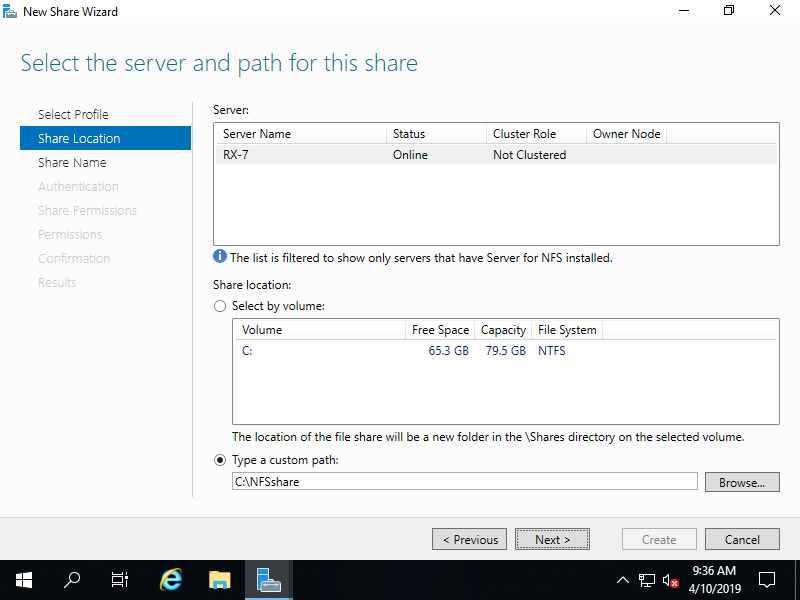 PS C:\Users\Administrator> Get-NfsShare -Name "NFSshare01"
PS C:\Users\Administrator> Get-NfsSharePermission -Name "NFSshare01"
 Run Server Manager and Click [File and Storage Services]. 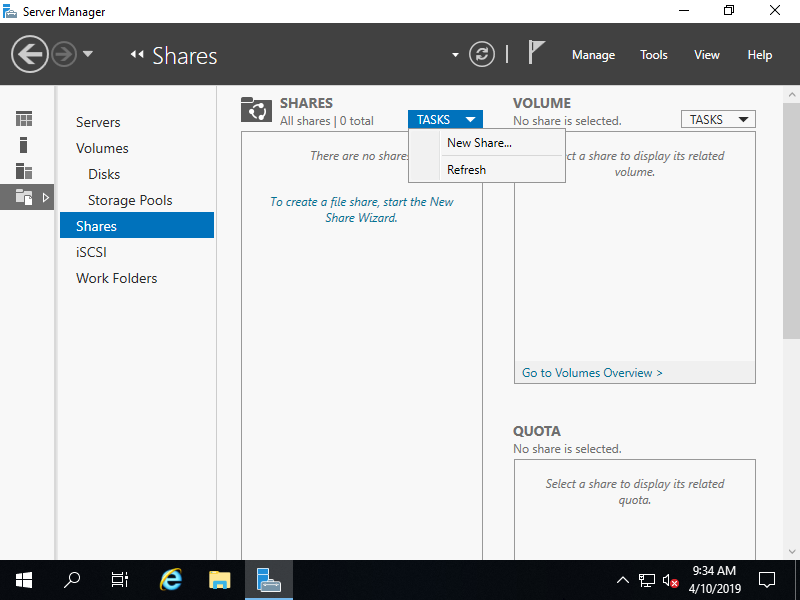 Select [Shares] on the left pane and click [TASKS] - [New Share...]. 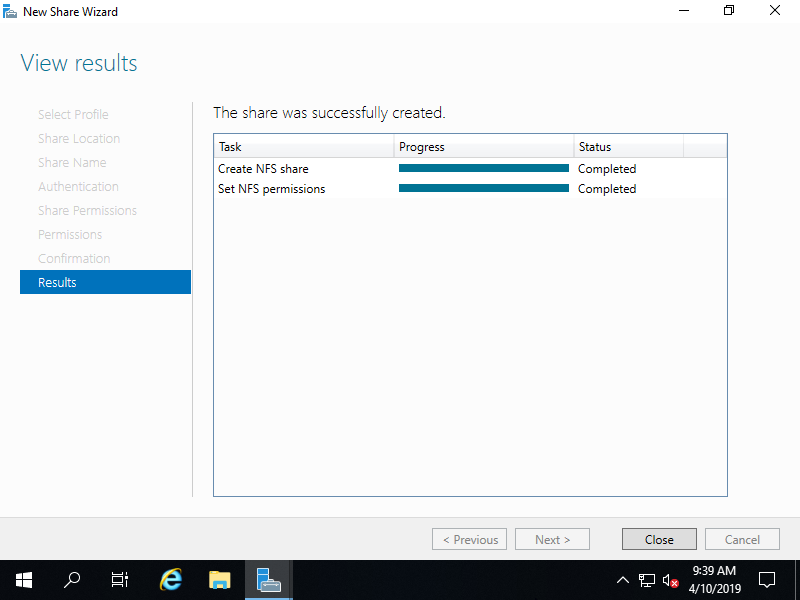 On this example, select [NFS Share - Quick]. 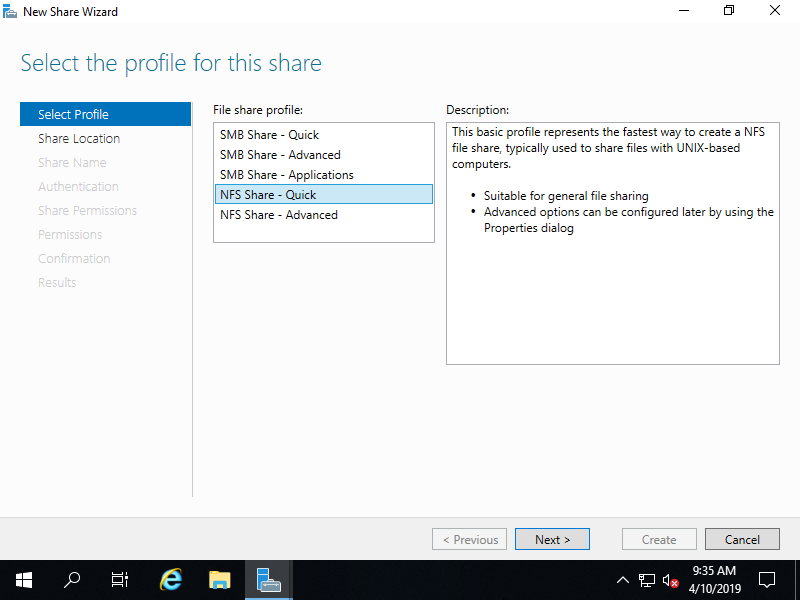 On this example, Configure a specific folder as shared one, so check a box [Type a custom path] and input the path for specific folder you'd like to set as shared folder. 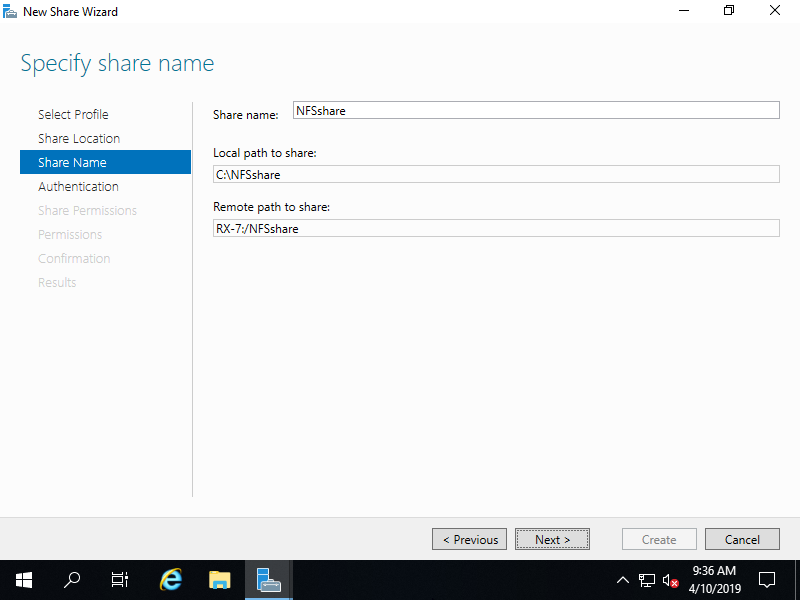 Input Share Name, Local and Remote Share Path. 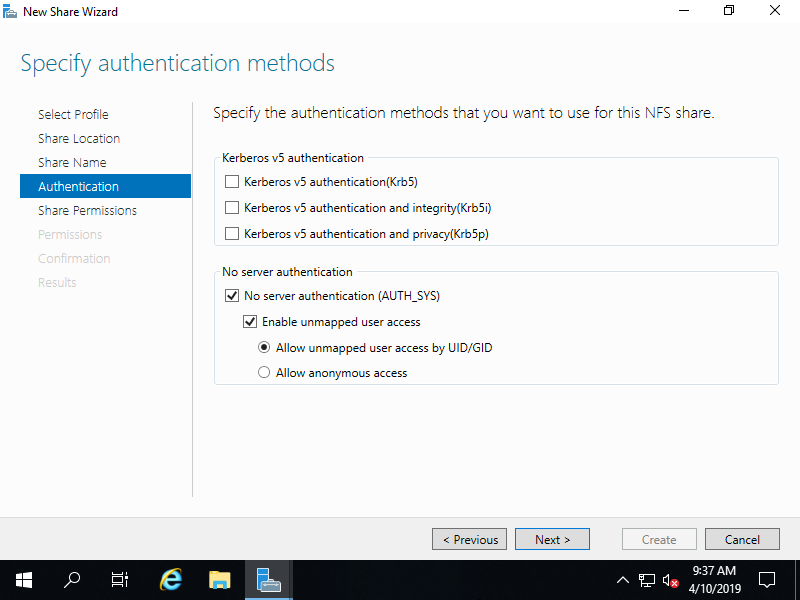 Specify authentication methods. On this example, set like follows. 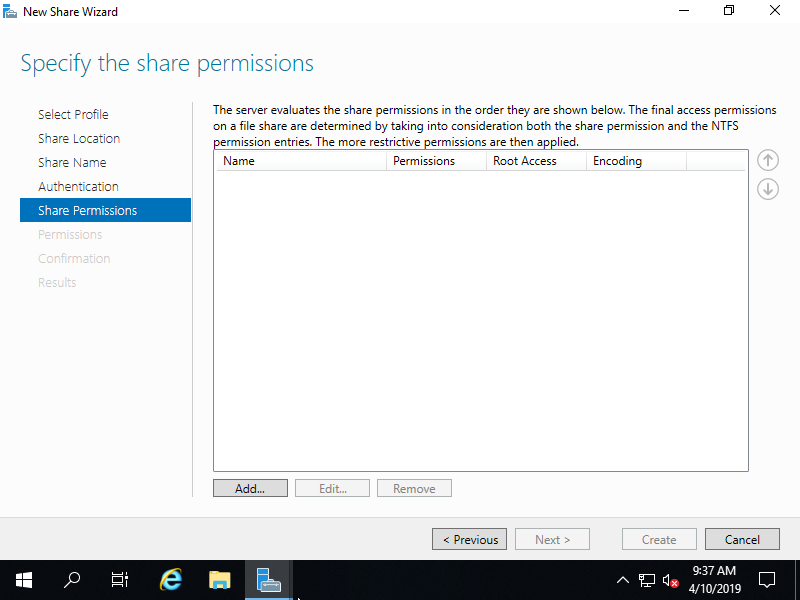 Set the Share permissions. Click [Add...] button. 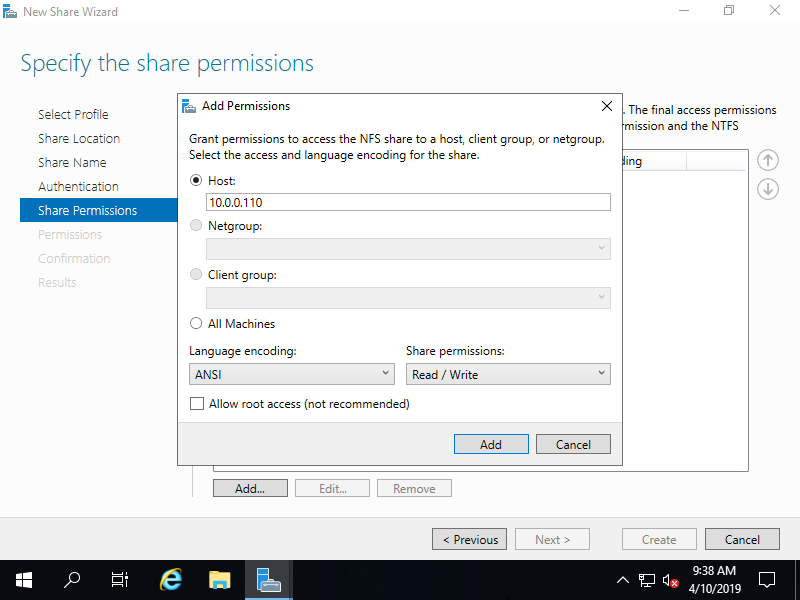 Specify the Hosts you'd like to grant access permissions. 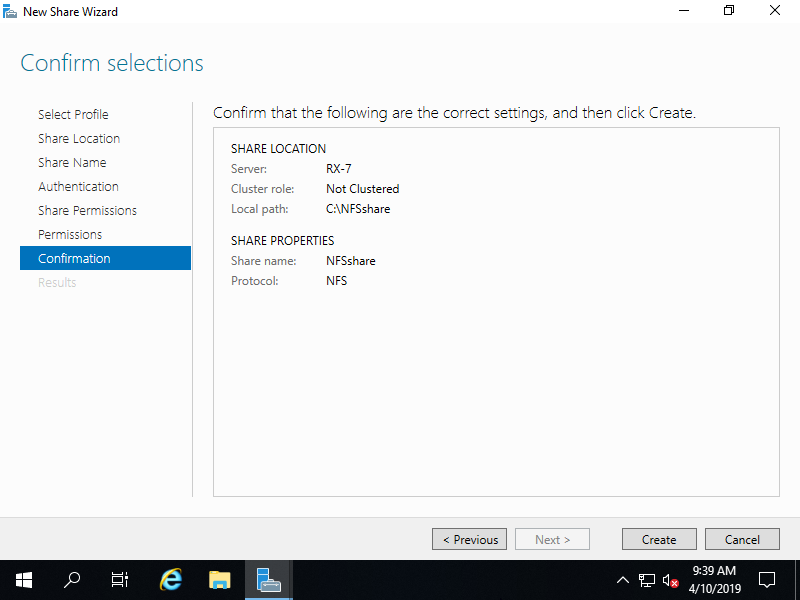 Confirm settings and Click [Next] button. 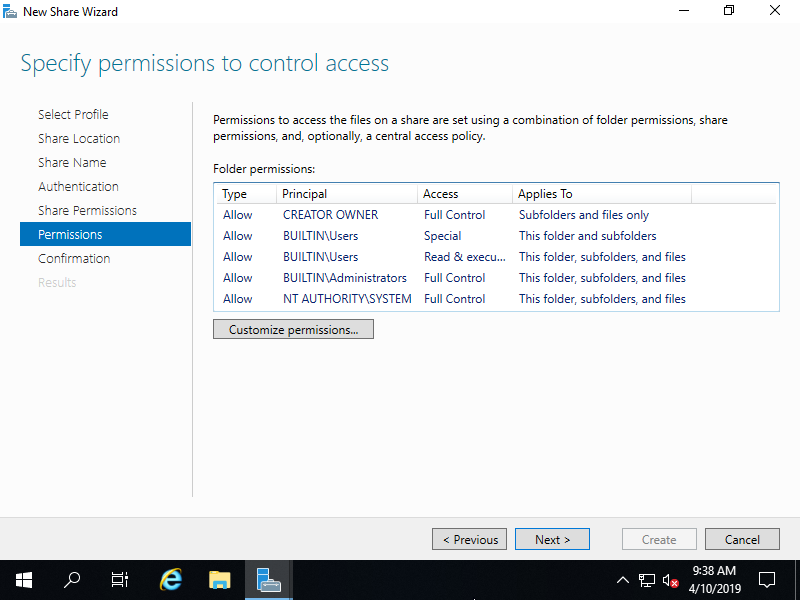 Specify permissions to control access. Confirm selections and it's no ploblem, Click [Create] button. After finishing creating, Click [Close] button. 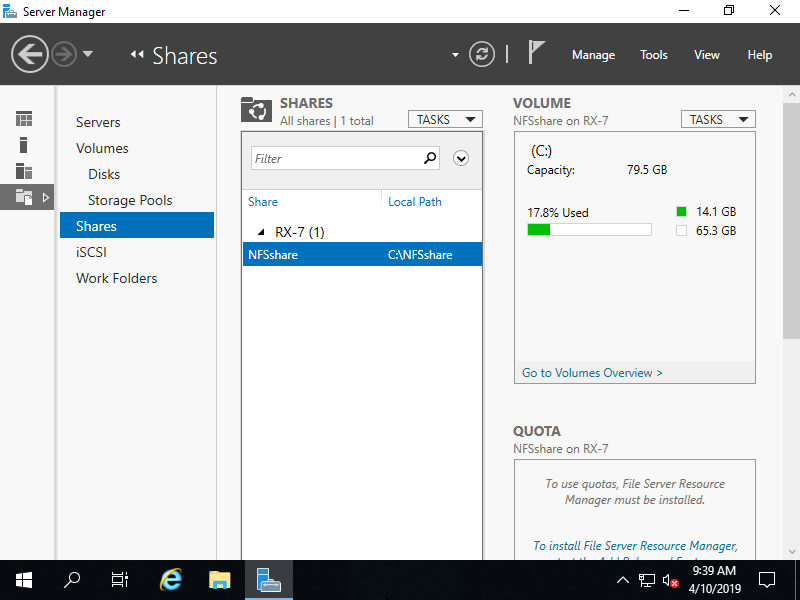 NFS shared folder has been just configured.